St Patrick's Day Brisbane is always a whole lot of fun. It's the perfect time to catch up with Isle friends of Brisbane. A beautiful Australian city on the east coast within Queensland, Brisbane is arising rocket in the charts of places to go and be. And although St Patrick's Days is not a public holiday a lot of Green events will happen in Brisbane on 17th March! There are super Paddys Day boating options on the Brisbane river. There are also restaurant or pub venues along the river wher you can takein a green pint! Or maybe it is one of the cities or greater Brisbane venues with an Irish theme for St Patrick's Day in Brisbane. 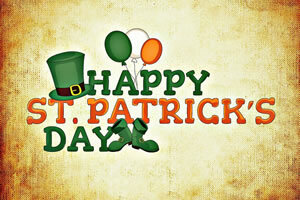 Whatever your Paddys Day we hope you enjoy it! 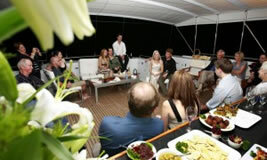 Get Green this 17th March with some fun sailing on the Brisbane River. Skippered and bare boat options. Combine some of your favourite things this St Patrick's Day at Victoria Park. 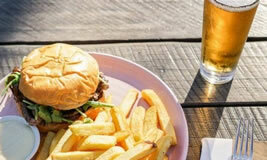 Do you like and Steak Burgers, Chips and a good local draught beer? Do you like to hit a few balls on the Driving Range? Well the Vic Park Bistro has a Deal for you. 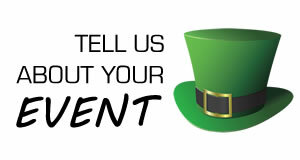 Looking to enjoy a craic and partake in the festivities this St Patrick's Day? Check out our quick guide for some of the best locations in South-East Queensland for St Patrick's Day. Go Green this St Patricks Day Great Irish Tavern well located in Brisbane. Restaurant dining and bar with live entertainment. Come and enjoy the Irish hospitality. Paddys Day Celebrations One of Brisbane's oldest hotels with the love of Paddys Day beaming green fun on 17th March. Happy St Pats Day Bring out your Irish green and celebrate Paddy's Day. Awesome food for an Irish taste. And fab drinks to freshen up with. Celebrate Paddys Day Expansive Irish Pub in Surfers Paradise full of green fun in the celebration of Saint Patrick's Day. Green Fun at with Ocean Views Awesome Irish hotel with great food and fun. Get into the Irish swing of things this 17th March. Before leaving home why not find a green hat or cap for the day! Get going early this Paddy's Day in Brisbane and make your way in for a Black Pudding breakfast with a pint of Guinness. A little planning of venues that will be open might be in order. But most importantly have fun at work with a little Irish Jig dancing as you walk around the office!